We receive ongoing inquiries about where Saul Goodman is teaching Shiatsu Shin Tai classes. During the last two years he stopped traveling to teach for the first time in over 30 years, and only taught courses where he lives in Doylestown, PA. There are several Shin Tai teachers now in Europe who are running a variety of classes in several different countries (England, Scotland, Croatia, Switzerland, Slovenia, and Austria to name a few), so many students in Europe are able to learn the basic Shin Tai materials. For now, Saul has not scheduled anything overseas, but he is beginning to schedule some classes in different locations here in the United States. 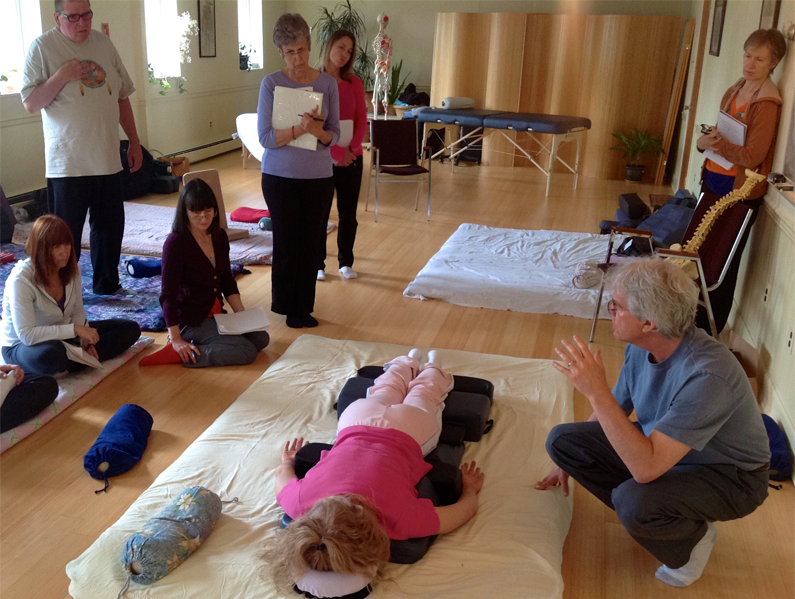 If you live in the U.S. and are interested in learning Shin Tai, yet have no courses near you (or if you love Shin Tai and want to share it with people in your area) you may want to consider sponsoring a shiatsu shin tai class. Sponsoring a class is a great way to deepen your own knowledge, create a circle of people near you with whom you can exchange treatments and resources, and supplement your income. or call (267) 372-1644 for more information.